One man's odyssey to unify the nation against him, a weird new flatmate and a strange amount of truth being told. Who won our weekly political joust? Politics, as we know, is a game of inches, where the size of one’s…policy…matters; an arena where the laurels of victory are doled to those who can speak longest, those who can completely avoid answering questions in their allotted time – in our PM’s case, 12 months and counting. Nevertheless, the vague, albeit magnificent nutcasery flipped down the corridors of power makes it hard to chart a winner. But, we here at TBS Towers don’t play that. Up with this, we shall not put. We voted, so, thusly, we want a result, not just a lesser of the two whomever showed up to work until 2019. James McGrath, for giving us a straight answer. Anyone who dips the smallest of toes into the leaking, squelching, cesspit of political yore knows that while you should expect anything, you should not expect a straight answer. However, the assistant to Doctor Turnbullstein, you know the one, has given us just that. Admittedly it was the wrong one, but, still. Whoever owns this left arm – for allowing the world to ask “Is it okay to punch a Nazi?” for another week. Notable fist magnet and jackboot enthusiast Richard Spencer has decided the best career path would be repeating the gag that made him Internet famous in the first place. Being punched in the middle of the face. The action (not kept in motion but rather yelled in CAPS) now shares a bed, and indeed a shelf on the fridge, with the hashtag #PunchANazi, and as much as we roommates don’t care for it, it doesn’t look like it’ll be going home anytime soon. Best to be amiable to the hashtag. God, I hope it doesn’t corner us in the kitchen and talks politics. #AusPol winners and losers: Who ate the chocolate out of the bin this week? Barnaby Joyce, for having a career week, and thusly having the podium all to himself; from redirecting the #ChangeTheDate march to the underside of the nearest rock, or his solution to the Sydney housing crisis by offering the worn SeaChange trope, restarting a new life in verdant Tamworth, all while blithely refitting his office out to the looney tune of $670K. Indeed, a well-cooked turducken of clusterfudgery here, but politics, as politicians constantly remind us, is a team-game. Such a surplus of fucks left stockpiled has substantially emptied the stuffed shirts of the historian set, who would tell you, in length, that it seems eerily like that Emperor who set a fire, whilst he watched and fiddled. Obvious difference being that it’s someone else’s Rome aflame. 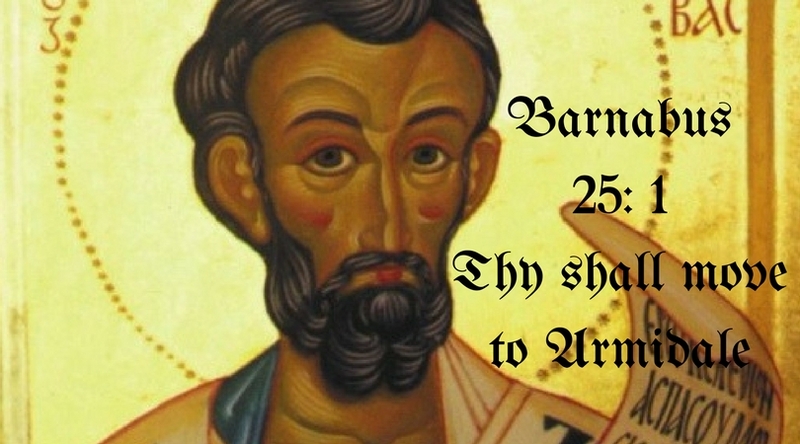 Perhaps that’s a harsh comparison, and we should mark Barnabas on his own merit. Such historic apathy should be regaled, reported and yodelled off the digital rooftops, for something brutally beautiful has happened, something…something genuine. Daresay, is this lack of feeling a miracle? Get the Vatican on the hook. …as I recoil from ripping open the envelope, and my eyes nervously scan the page, a wave of angst washes over me, dragging me further toward the sharpened corner, and my mind longs to follow through with the most final of impulses. This week, we have a Highlander level of Bushie, in that there could only be one. Welcome to the stage Kellyanne Conway, who swung wildly at the marble pylons of the English language, chipping away our definition of what “truth” is, or indeed what the opposite of that is. Because there is no such thing as lies, just an alternate version of the truth. Maybe there is no truth.